Anyway, the article is both an insightful look into what today’s dads are all about, and a celebration of how far they’ve come since the olden days of like 1950 or so. 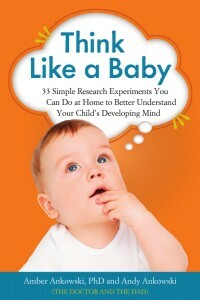 If you dig the other things we write – like this site, or our right-up-dad’s-alley book of science experiments you can perform on your own kids Think Like a Baby – then you’ll love this article too! So go check it out now! And Happy Father’s Day, everyone! Andy’s a ‘Dad in the Limelight’ D+D on PBS: Letting Go of Learning Styles D+D on PBS: Anatomy of the Perfect Toy D+D on PBS: What’s So Terrible About Two-Year-Olds?